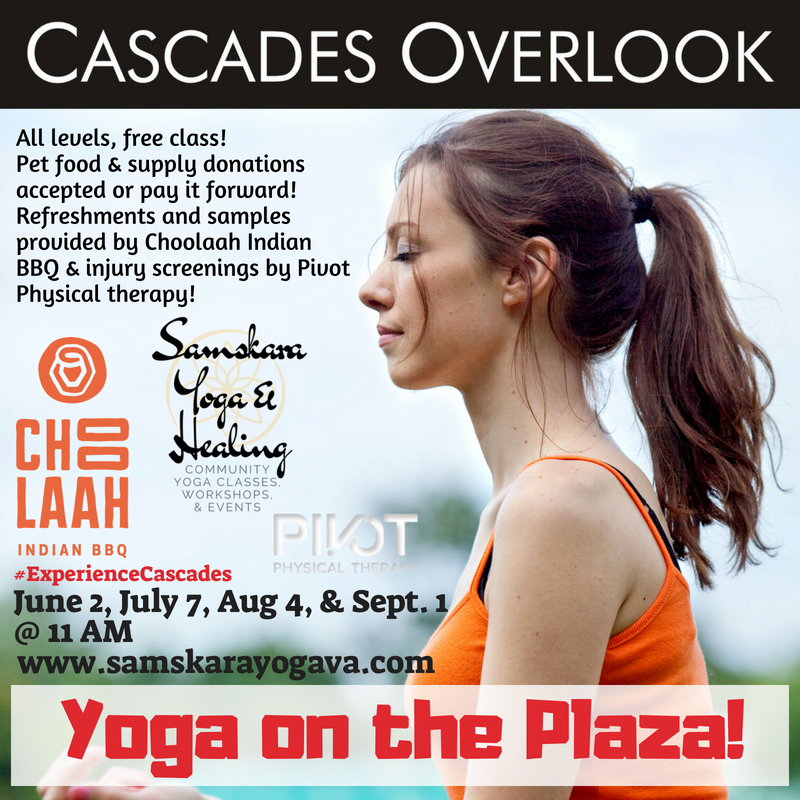 Join us for our next Yoga on the Plaza! class – September 1 @ 11 AM! We require a waiver on file for all participants. CLASS WILL BE HELD OUTSIDE ON THE PLAZA AT CASCADES OVERLOOK – PLEASE DRESS FOR THE WEATHER! Join us at Cascades Overlook! This is a community yoga class, all are welcome! Family friendly (we love pets, too) and FREE! We ask that you bring a pet food, supply, or cash donation to benefit our local animal shelters! Questions? Contact us at samskarayogava@gmail.com or call/text 571-354-6165.